Sharqi Shop is an online platform enabling artisans in Jordan to sell their creations online and access international markets. Besides the online platform, Sharqi Shop provides artisans with services that guarantee to make sales. As the result of war, many skilled, trained craftspeople have fled from Syria to Jordan, where they face many obstacles in finding sales channels, as the Jordanian market is small and saturated, resulting in small revenues. 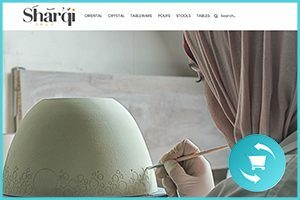 Sharqi Shop connects artisans to customers in the Arab Gulf and Europe, by promoting their creations directly to online shoppers. 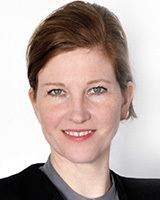 The services vary from packaging, professional photos and writing of product descriptions, to digital marketing campaigns and development of better product designs. The online platform supports the reintegration of Syrian artisans, most of whom are women, in the job market, helping them to generate income and build their lives in Jordan. The impact reaches far beyond just the artisans, sustaining entire families. Sharqi Shop opens doors to new opportunities.